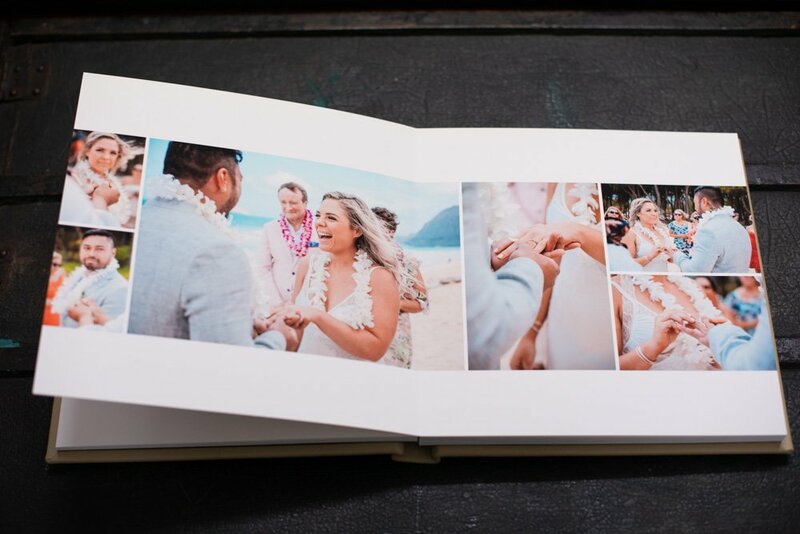 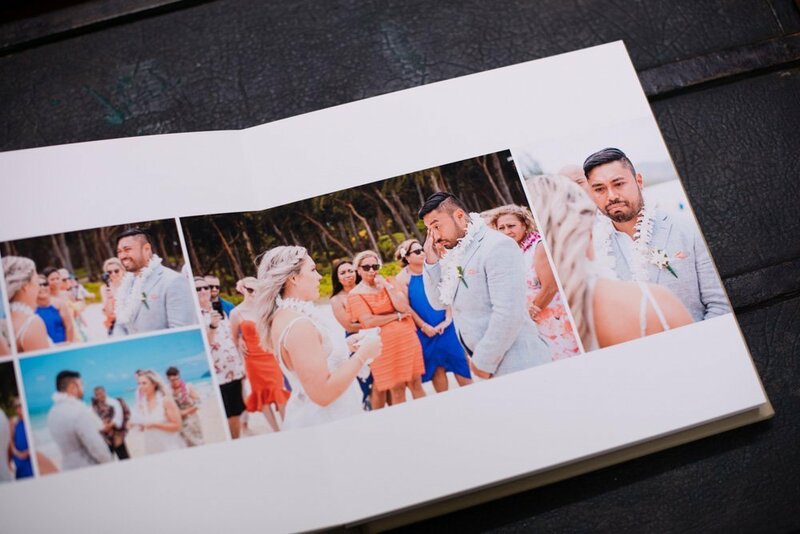 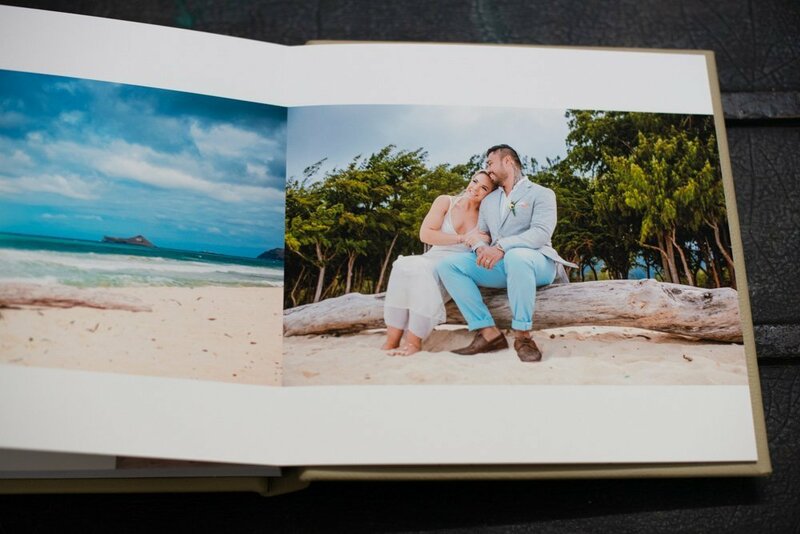 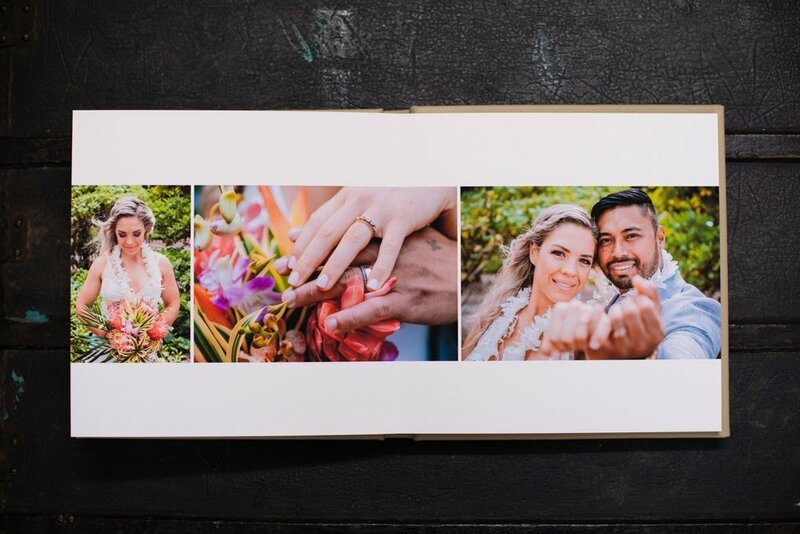 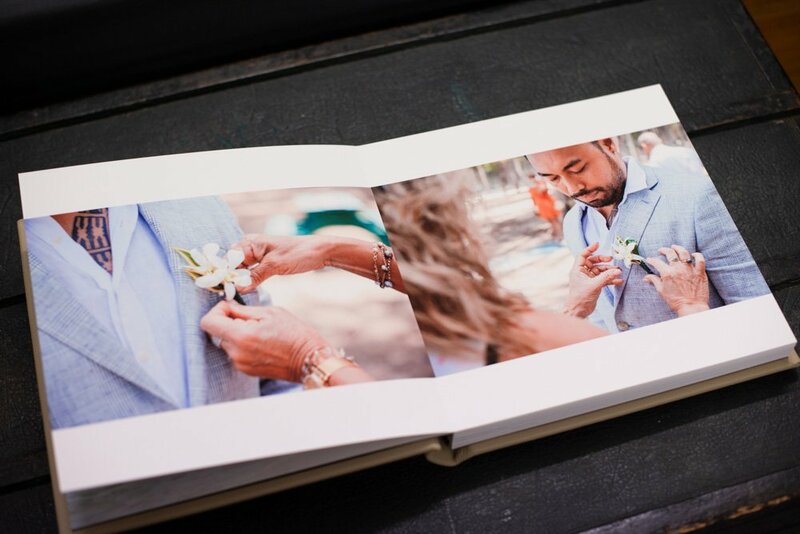 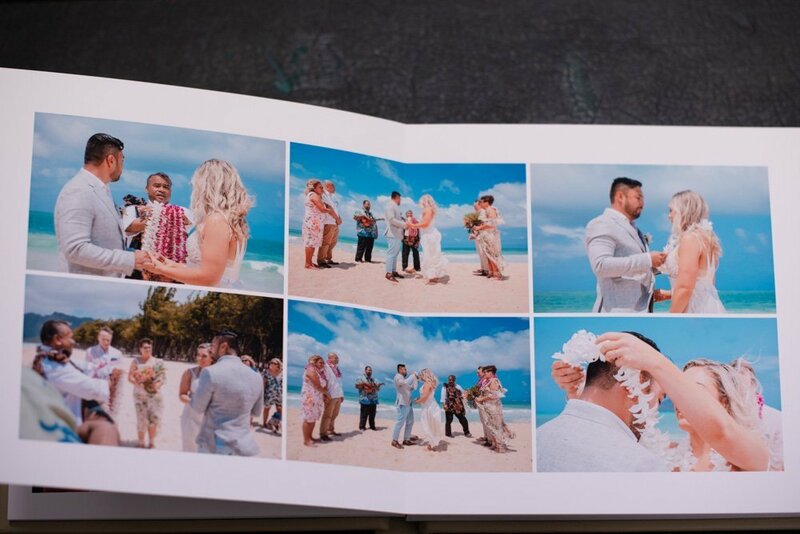 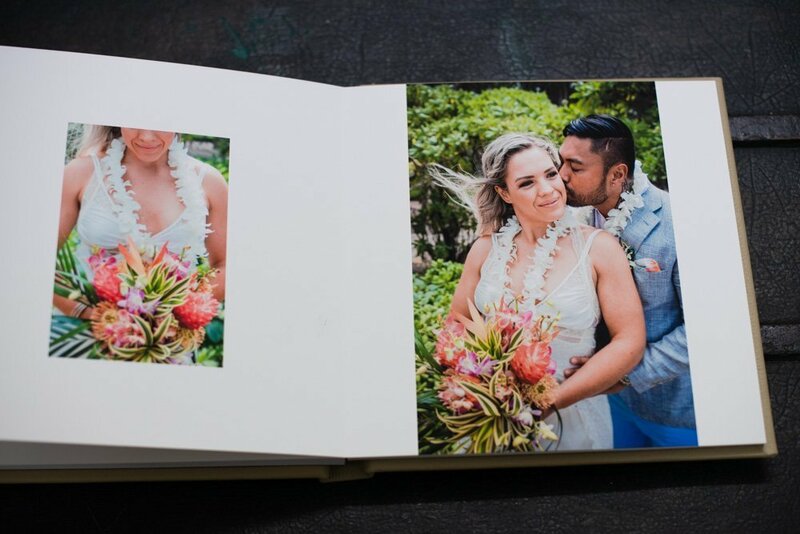 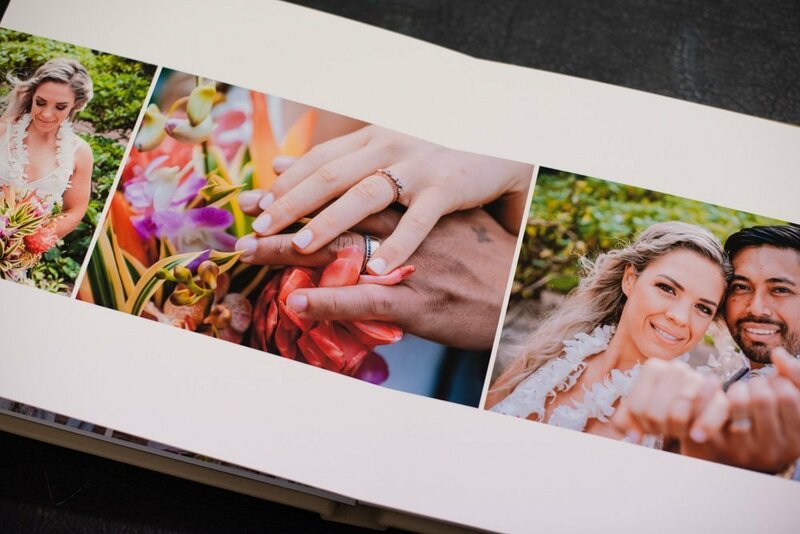 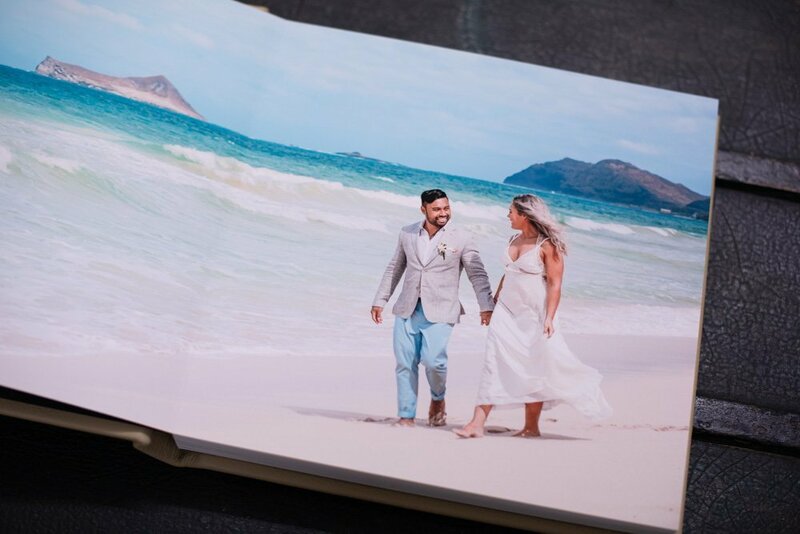 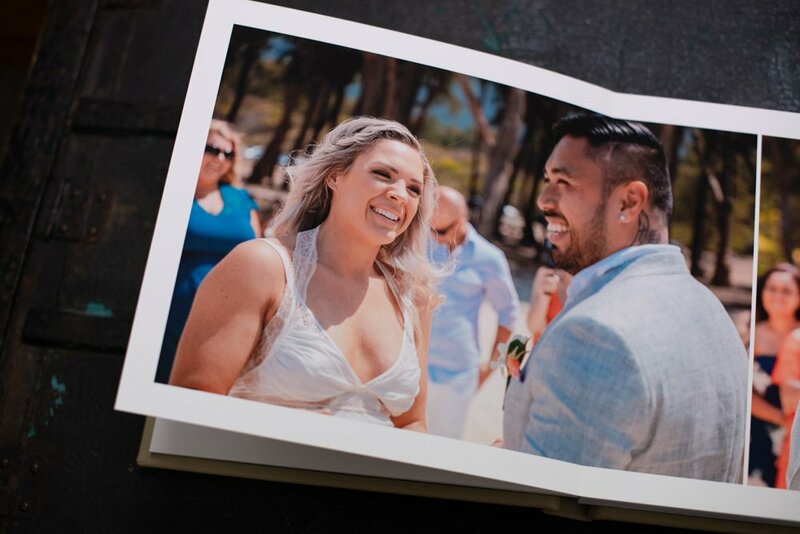 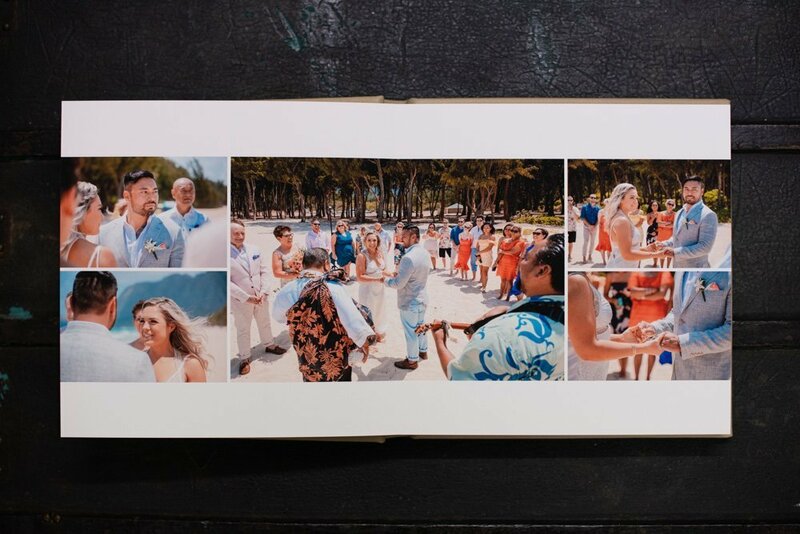 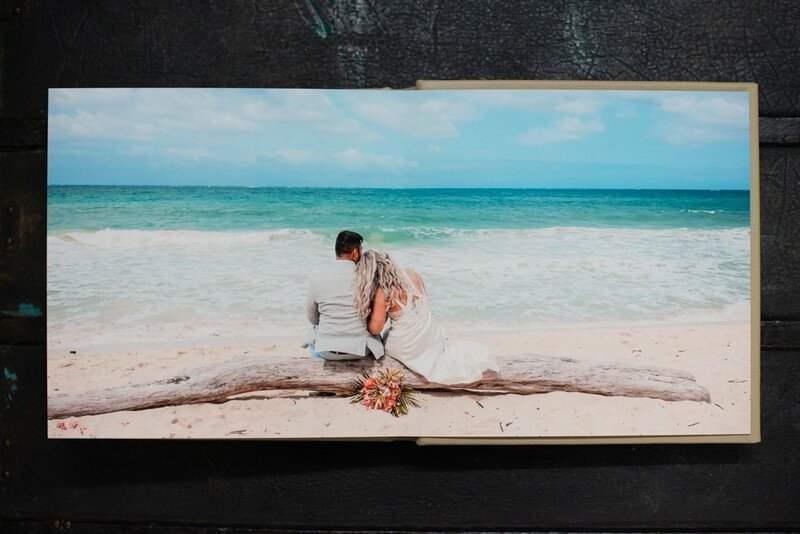 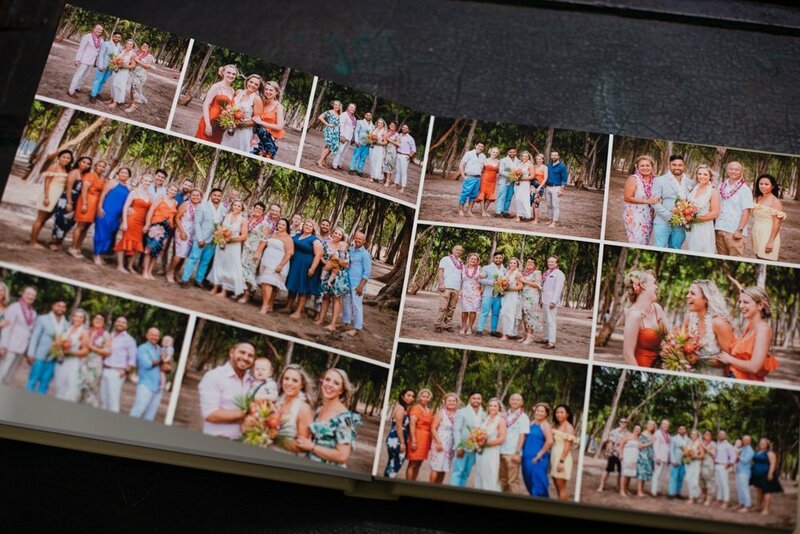 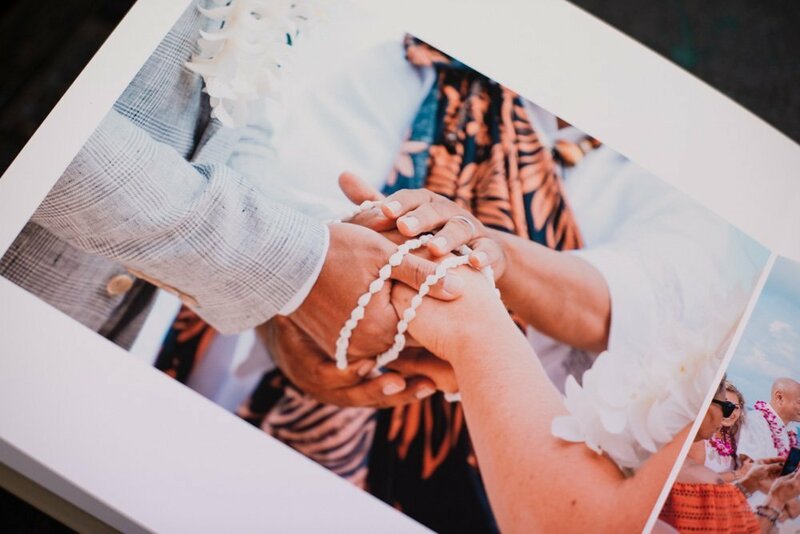 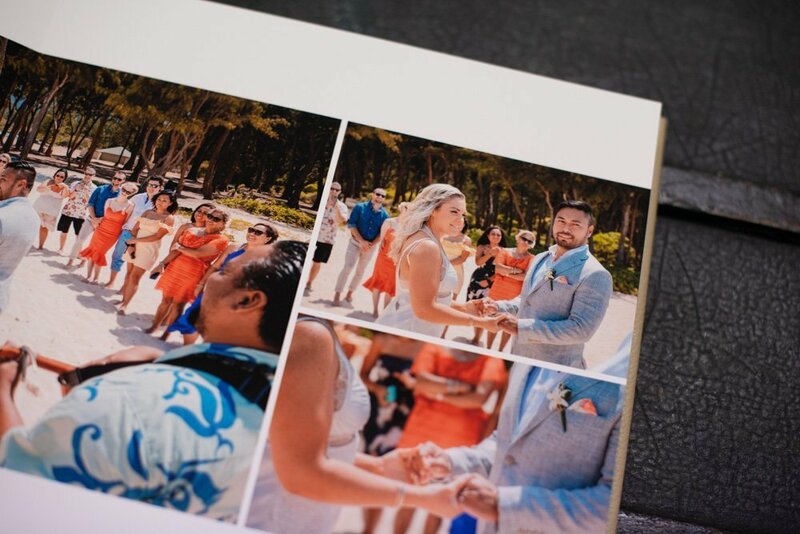 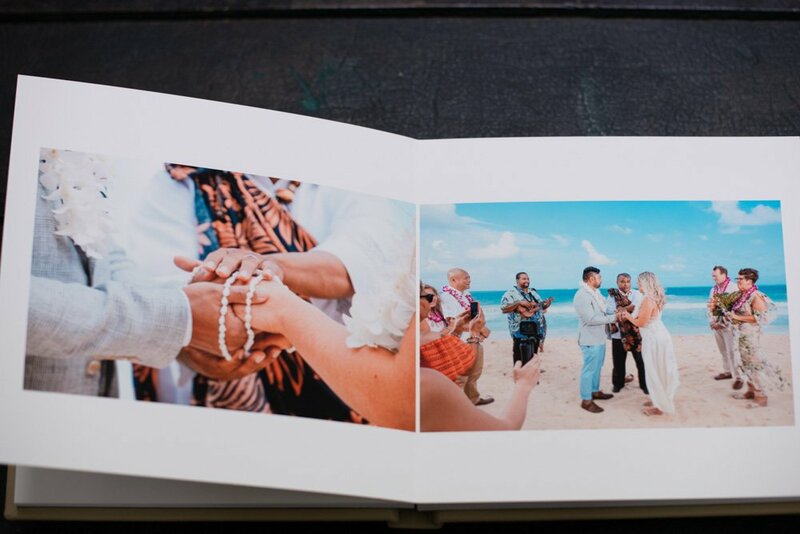 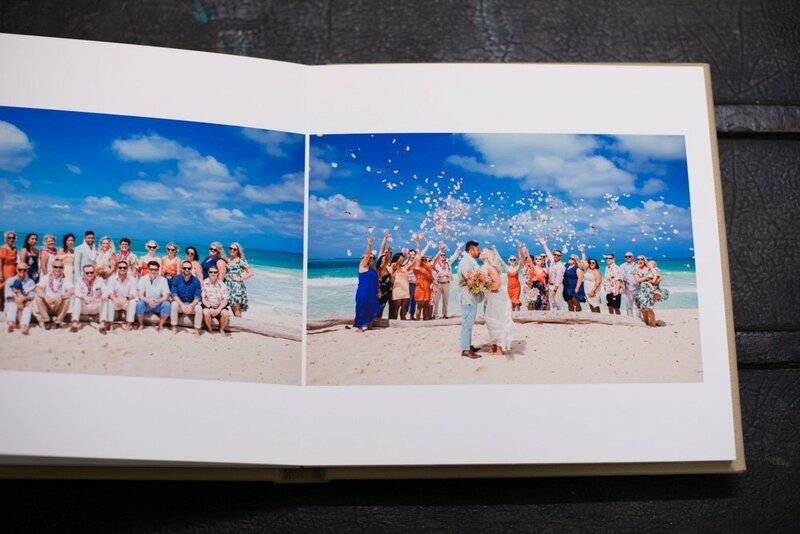 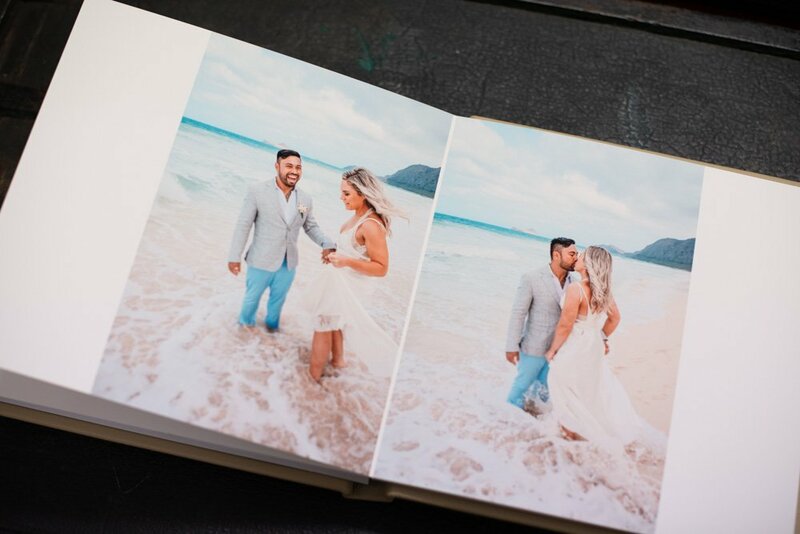 This couple’s colourful destination wedding in Hawaii printed beautifully in our 10×10 square album. 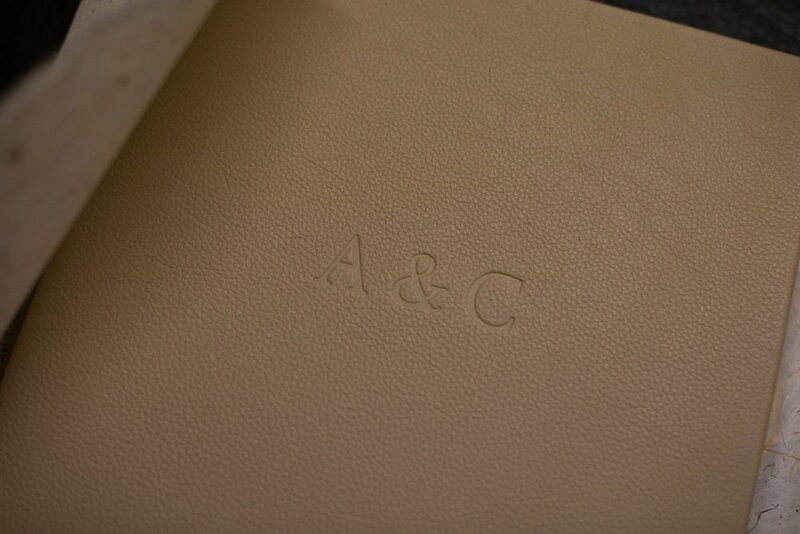 The coffee-coloured Nougat leather cover ties in beautifully with the natural colours of the location. 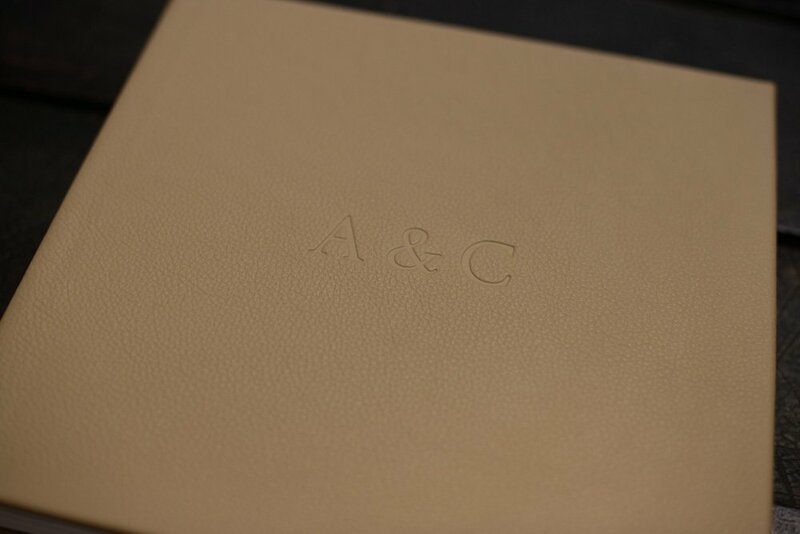 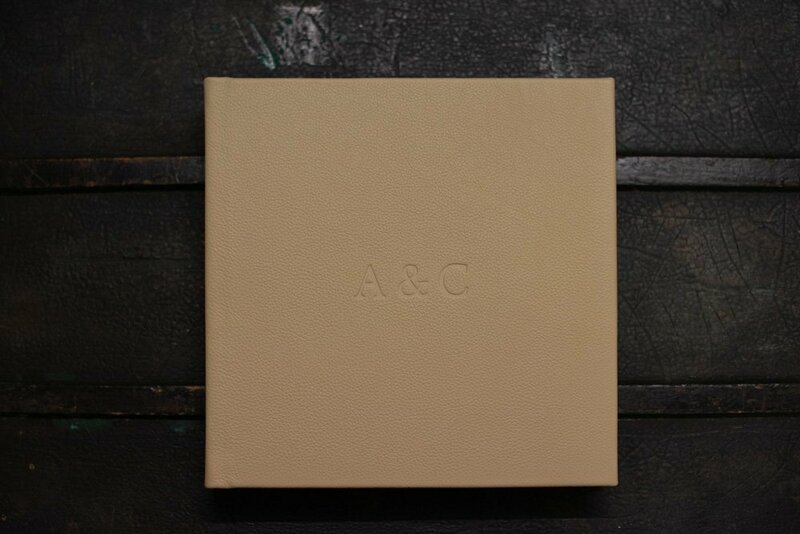 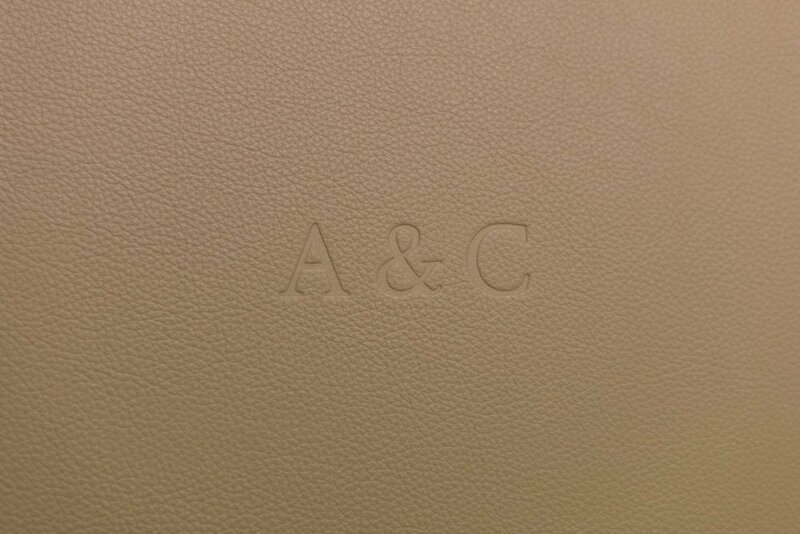 The cover has personalised embossing and rather than using the couples names, we just went with their initials, simple and bold. 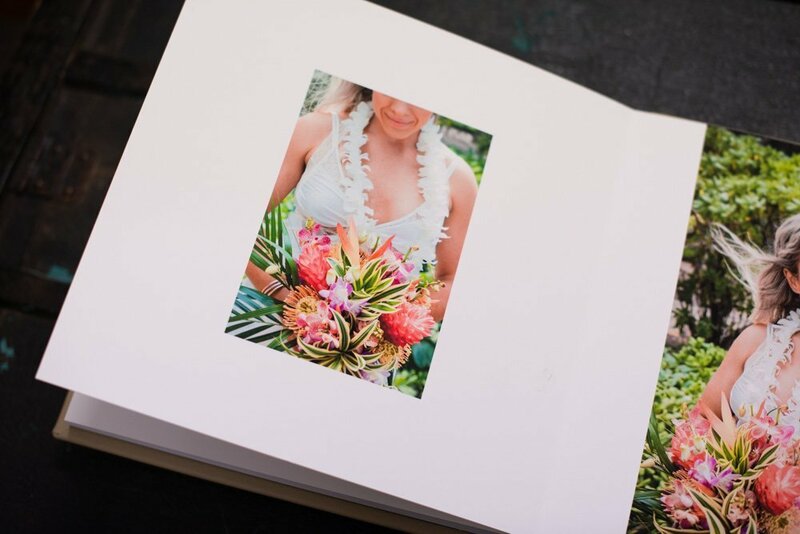 The pages are lay-flat and the printing is truly vibrant on the fine art matte paper and showcases the gorgeous tropical island colours. 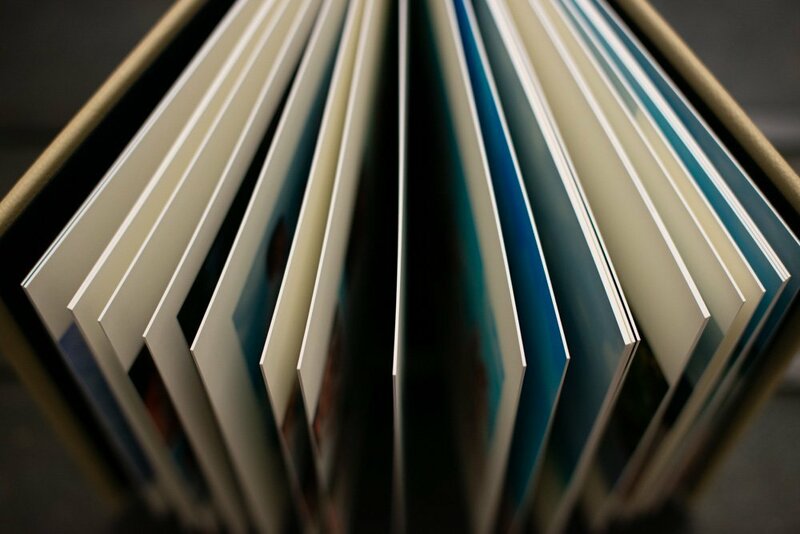 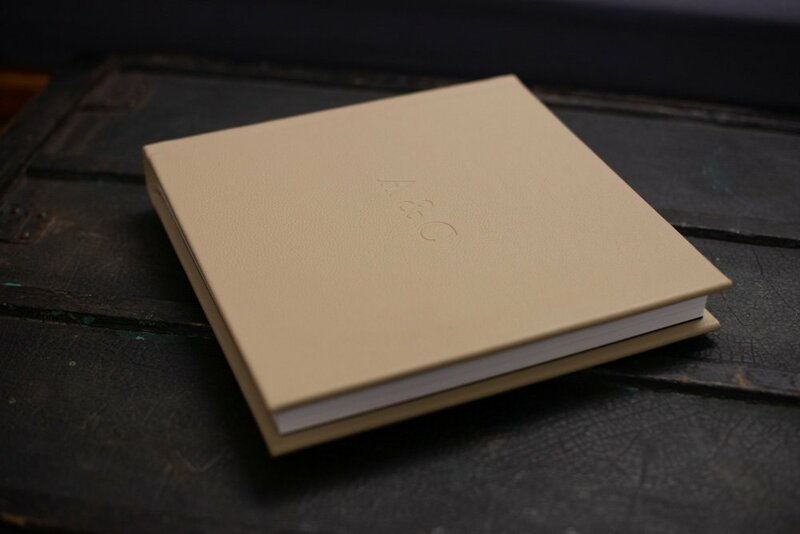 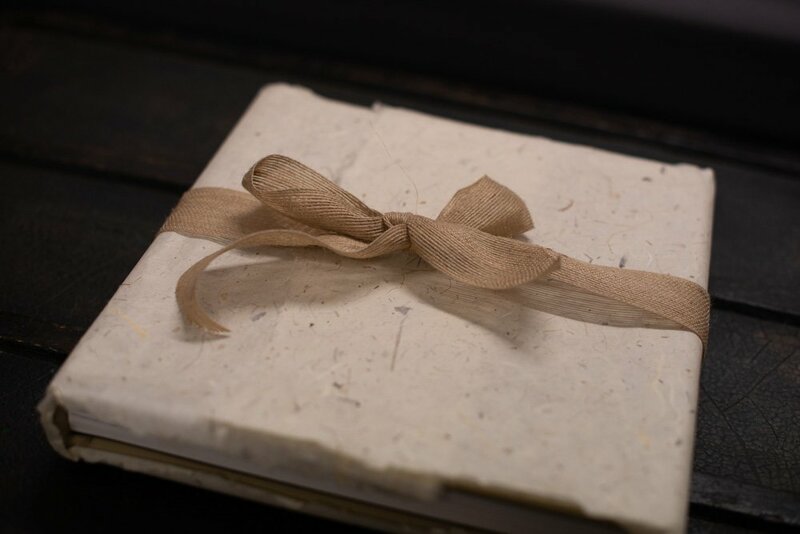 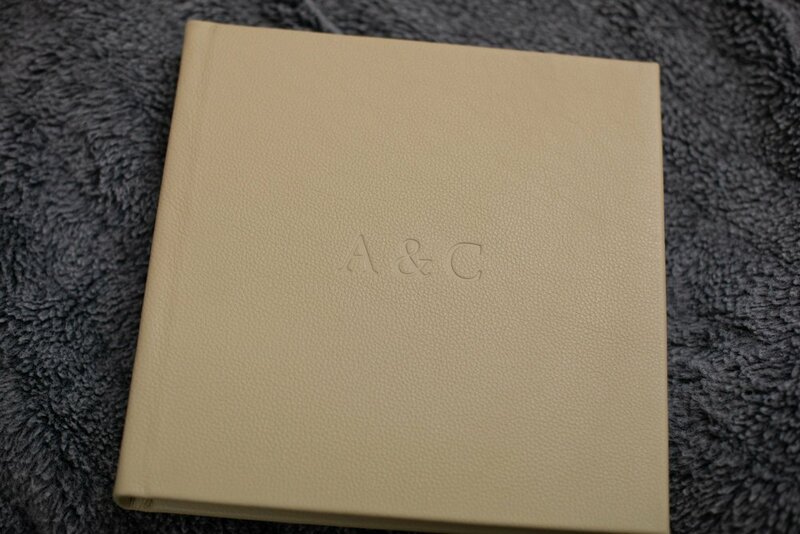 The printing is archival and the best quality materials are used by craftsmen to bind the album to last for generations. 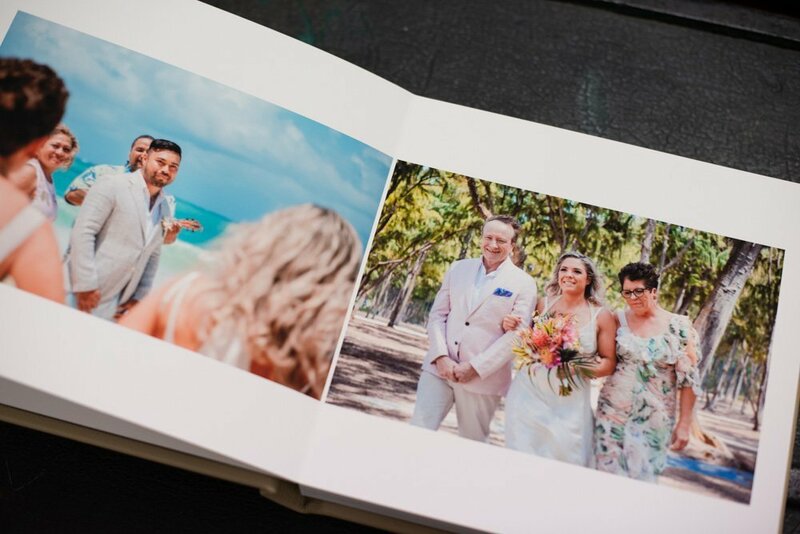 Our contemporary designs let your images take pride of place to let your memories tell your wedding day love story. 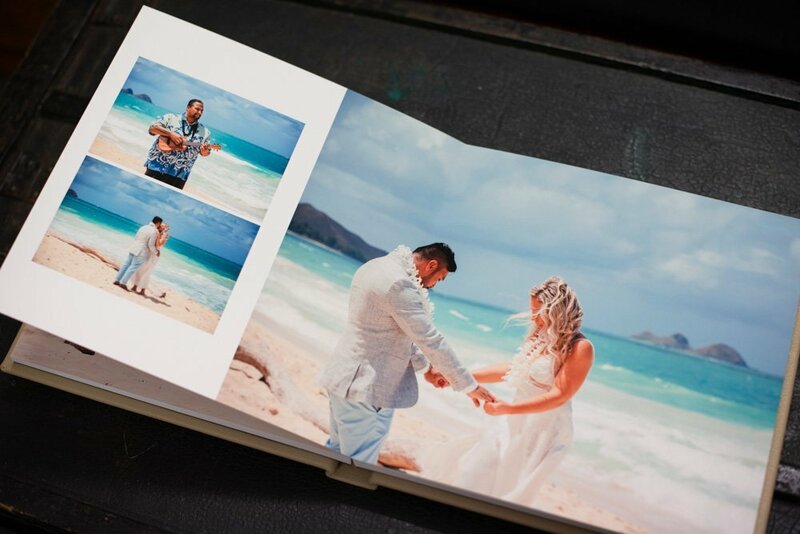 The finished album was 23 spreads (46 pages) and below is just a sample of some of those page designs.